Are Your Spouse’s Friends Getting in the Way of You Aging Gracefully? Imagine you have a few hours of uninterrupted free time to do whatever you’d like – perhaps you would read a new book, go on a scenic drive, go to the gym, or have lunch with a friend you don’t see very often. Now imagine you have been given one month to live – how might you spend that free time differently? Most people would want to spend that time with their closest loved ones – a spouse, child, sibling, or best friend. There is a popular theory in the social gerontology literature developed by Laura Carstensen to explain this phenomenon, which she refers to as “socioemotional selectivity” (1995). Basically, her theory states that as we age we perceive that we have less time left. This perception influences how we choose to spend that time. As younger adults when our future feels expansive, we might prioritize meeting lots of new people to create connections while we seek to establish our careers and relationships. As older adults, our perception of time shifts and we prioritize spending time with people who know and treat us well. By choosing to spend time with emotionally meaningful social partners rather than with novel social partners, older adults are engaging in “antecedent emotion regulation” (Carstensen, Fung, & Charles, 2003) – in other words, they are avoiding potentially negative emotions by focusing on more gratifying social experiences with their loved ones. Research indicates that older adults even recall more positive than negative information (and retain more positive autobiographical memories) compared to younger adults (Carstensen et al., 2003). This theory offers one possible explanation about why the social networks of older adults tend to be smaller than those of younger adults. That is, if older adults are focusing on their closest relationships, they are presumably ending contact with irritating network members or those with whom they feel less connected. There is evidence to back up this “pruning” process – research shows that older adults’ smaller social networks tend to have a higher proportion of emotionally close social partners, and there is even some longitudinal evidence that adults are very intentional about this culling process (Lang, 2000). The agentic nature of this theory is comforting, in a way, to those of us studying social gerontology. It implies that as we age, we get better at shaping our emotional experiences to optimize our well-being, which puts us back in the driver’s seat at a time when we may be feeling less ‘in control’ in other aspects of our lives (e.g., due to declining health). Now consider how this might change for individuals who have a romantic partner. Suddenly, the picture becomes more complicated. Those who are married or in committed relationships may not always get along with their partner’s friends and relatives. In some cases even, if it were up to the individual, they would avoid contact with some of those individuals entirely. Ironically, then, although one of the benefits of marriage is thought to be the joining of two social networks (Acock & Demo, 1994), marriage may actually keep spouses tied to individuals that they would otherwise have pruned from their network. Our own research shows that not only do these complicated relationships exist but also take a toll on individuals and their relationships with each other (Fiori et al., 2018). Disagreements about network members may create problems between spouses; for example, by introducing feelings of intrusion or jealousy (Fiori et al., 2018; Gomillion, Gabriel, & Murray, 2014). Such disagreements can, of course, be problematic throughout the lifespan, as seen from work highlighting the challenges associated with in-law relationships earlier in adulthood (e.g., Bryant, Conger, & Meehan, 2001). However, older adults may be especially vulnerable to these types of challenges because they no longer have control over their network. How can older adults engage in “antecedent emotion regulation” if they are forced (by virtue of their romantic relationship) to spend time with aggravating or periphery network members rather than their preferred social partners? It’s possible that older adults who have been married for a long time have simply learned alternative, potentially healthy, strategies for engaging with network members that they can’t avoid. But what about remarried older adults – is navigating two sets of social networks more difficult for individuals who have not had decades of experience working through these issues? Given increases in divorce and remarriage, most notably among those aged 50 and older (the “gray divorce revolution”; Brown & Lin, 2012; Pew Research Center, 2013), as well as shifts in family forms to include more blended and less ‘typical’ nuclear families, there is a critical need for more research to understand the nuances of navigating complex shared social networks. Such research will not only help us understand the physical, mental, and relational health effects of being tied to individuals that, theoretically, you would otherwise eliminate from your social circle, but may offer important information for couples who navigate this all too common challenge. 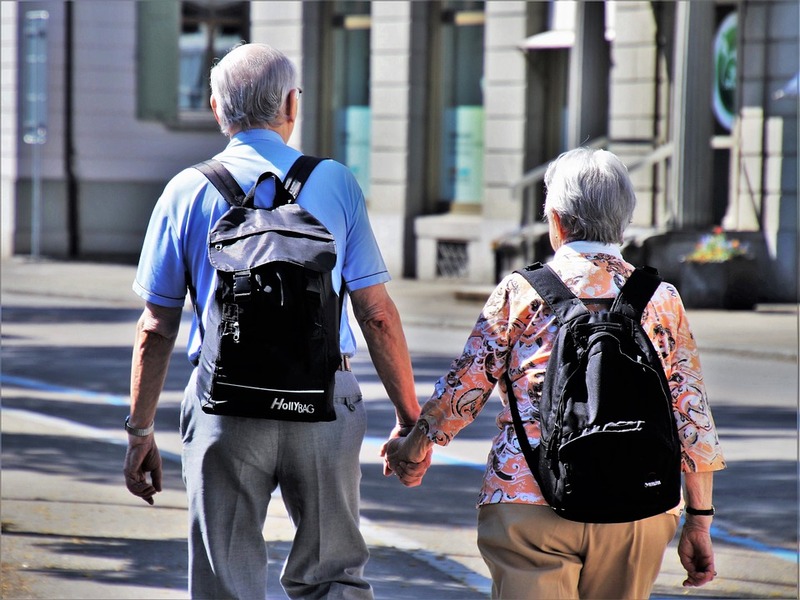 The goal of our own work is to consider how the health benefits of older couples’ social networks depend on how the network members are connected to both partners. For example, what are the relationship quality and health implications of the presence of network members who are considered close by one partner but problematic by the other? Does having reduced control over one’s network have consequences for older adults’ health and well-being? The answers to these and other related questions may ultimately impact the design of interventions that have heretofore focused on bolstering individual’s social networks without acknowledging the ramifications for the partner. This article has also been published in Psychology Today. Amy Rauer, Ph.D., (Left) is an Associate Professor in Child and Family Studies at the University of Tennessee in Knoxville. She is trained as a developmental psychologist and her work focuses on how intimate relationships develop as the individuals within them grow and change over the lifespan. She has published widely in developmental and relationship journals, and her work has been recognized multiple times by the National Council on Family Relations. She previously served as the director of the Marriage and Retirement Study (MARS), a longitudinal project funded by the Fetzer Institute to examine the role of compassionate love in older couples’ lives. More recently, she founded the Relationships & Development Lab to explore the role of developmental timing in determining the costs and benefits of romantic relationships, as the behaviour that promote couples’ adjustment and well-being earlier in the lifespan may, in fact, undermine it later in life. 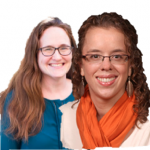 Katherine Fiori, Ph.D., (Right) is an Associate Professor and Chair of Undergraduate Psychology at the Derner School of Psychology at Adelphi University in Garden City, NY. She is trained as a developmental psychologist and studies interpersonal relationships and health across the lifespan. She has published widely in both gerontology and relationship journals, most recently in the Journal of Social and Personal Relationships. She is the author of over 40 referred articles and book chapters, and is currently focusing her research on the intersection of social networks and romantic relationships. Some of the questions she explores are: How do couples ‘merge’ (or fail to merge) their social networks, and what are the implications for their relationship satisfaction and longevity? What happens in a relationship when one partner does not approve of the other partner’s friends or family? In what ways can friends interfere in a romantic relationship? How do our social networks change as we age?